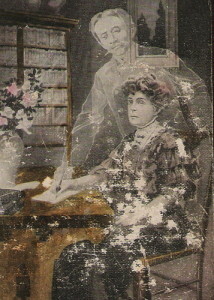 I was 19 when I encountered Spiritualism and such concepts as "automatic writing." Since I've been dabbling in it a bit lately, I thought I would introduce the concept to those of my readers unfamiliar with it. First of all, a definition: Automatic writing is writing done by a person who is unaware of the content or possibly even the act of that writing. An example would be someone on the phone, with paper and a pen in hand, ready to take notes; but no notes need to be taken. The person might doodle a bit while continuing the conversation. When the phone call is complete, the person notices, to his or her surprise, that some of the "doodles" compose, in fact, words or sentences. Moreover, those words might hold the solution to a problem with which the person had been concerned, even though the phone conversation bore no relationship either to the problem or to the solution. It's a fairly common experience, one for which we are generally grateful when it occurs. It happens often enough, in fact, for psychoanalysts to have their patients utilize automatic writing as a means of getting through to their subconscious minds. Although skeptics point out that there's no reason to believe the subconscious mind has any better grip on the causes of human problems than the conscious mind, analysts continue to use the technique and their patients seem to derive some benefit from it. A person can encourage automatic writing (when not on the phone) by simply holding a pen over paper and devoting his or her attention to something else, like TV or even a book. The idea is to engage the left-brain enough that the right-brain is freed to express itself. Motions from the arm are to be ignored, except to change sheets of paper when needed. Automatic writing gets interesting when the writing claims to come from some source other than the wielder of the pen. There is a long history of this. Over 125 years ago, a Boston dentist named John Newbrough found himself automatically writing "new revelations from God" on the newly-invented typewriter. Oahspe: A Kosmon Bible in the Words of Jehovih and his Angel Embassadors was published in 1882 and contains information remarkably consistent with today's New Age beliefs. In fact, whenever entities claiming to be "God" communicate via automatic writing, their teachings are amazingly consistent, especially considering the differing core beliefs of the persons holding the pen—William Moses, for example, was a respected priest and teacher who experimented with automatic writing. His beliefs were orthodox Christian, but the messages from his automatic writing took a more open, undogmatic view. 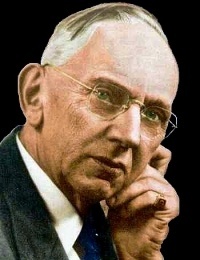 And Edgar Cayce was a Christian fundamentalist who, when in trance, spoke of reincarnation and other beliefs that the waking Cayce wouldn't have been able to pronounce, much less promote. Much automatic communication is, therefore, done in trance. But much isn't. 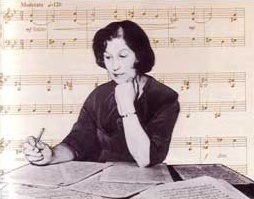 In the 1960s, widow Rosemary Brown caught the public's attention when she began to transcribe pieces of music supposedly written by famous, deceased, composers such as Liszt, Brahms and Beethoven. Many of the pieces she transcribed were too complex for her to play—she'd only taken a years' worth of piano lessons. But music experts agreed the pieces had been written in the style of the composers to whom Brown attributed them. Liszt controlled her hands for a few bars at a time, and then she wrote down the notes. Others, like Chopin, told her the notes and pushed her hands on to the right keys. Schubert tried to sing his compositions to her "but he hasn't got a very good voice". Beethoven and Bach simply dictated the notes—a method she said she disliked since she had no idea what the finished product would sound like. They all spoke to Brown in English, which she stated did not surprise her. "Why shouldn't they go on learning on the other side?" she asked. Of course, people more learned of psychic phenomena assume that communication between the dead and the living is actually mind-to-mind, or telepathy. After all, no sound waves are present—visitors in attendance during one of these visits hear nothing out of the ordinary. And telepathy is generally believed to be language-free: Concepts are transmitted, not the words for them; leaving it to the recipient to put those concepts into his or her own words. Author John Fuller used a Ouija board in his research for his 1976 book The Ghost of Flight 401. As he was skeptical of its effectiveness, he worked with a medium and claimed they both contacted Don Repo, the flight engineer on the flight which crashed into the Everglades en route to Miami. According to Fuller, the information divined described facts that neither he nor the medium previously knew. 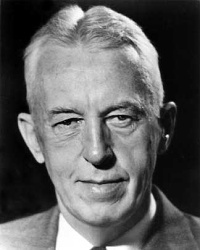 According to the book Pass It On, published by the New York Alcoholics Anonymous organization, AA co-founder Bill Wilson was a regular user of the Ouija board, even developing the shortcut technique of "knowing" what the spirit was about to spell, therefore enabling him to bypass the board and simply write down the information. He claimed that he received the twelve step method directly from a spirit without the board and wrote it down. 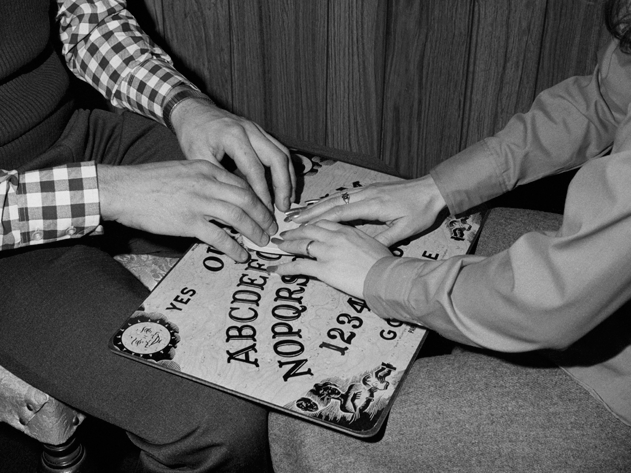 Although devices similar to Ouija boards had been used for centuries, mass marketing availability and the ease of achieving results brought about a huge rise in Ouija use from the 1920s through at least the 1960s. If there really is a global conspiracy trying to prevent people from achieving enlightenment, and if the Ouija board indeed permits people to receive information from Beyond, one would expect a disinformation campaign to discourage Ouija experimentation and indeed, there has been that very thing—far more words have been published against even trying Ouija boards, for example, than you will find debating the use of known health hazard NutraSweet. Between Christians warning against "certain possession by demons!" and psychics such as Suzy Smith, who in her 1971 autobiography, said, "Warn people away from Ouija and automatic writing. I experienced many of the worst problems of such involvement. Had I been forewarned by reading that such efforts might cause one to run the risk of being mentally disturbed, I might have been more wary." The fact is, whether the source of information in automatic communications is one's own subconscious, a departed spirit, or even a "demon", the simple way to handle it is with discretion: The good tree, bad tree sieve described by Jesus in the Gospels. If the information has a wholesome source, the information will be useful and good (like the Twelve Steps?). If the source is evil, such will become immediately apparent. Many years ago, when I was leading an abductee support group on CompuServe, during an online chat I felt a contact with a being from an some other planet. This was a mental contact, and of course there is no objective proof that it happened at all. Yet, it seemed real to me. The person who contacted me had been interfacing with his planet's Internet, which used direct mental communication rather than mouse or keyboard; and he had been idly asking about the possibility of contact with beings from other worlds. The connection, therefore, was through his Internet. He was an ordinary citizen of his world, a "fish farmer," not a profound thinker; and, in fact, he tired rather quickly of the conversation. Yet, from my point of view, while I do not remember with whom I was having the online chat that evening, I can still recall the image of one of the ponds of his fish farm, a shallow pool about an acre in size, at the base of a stony, limestone butte, beneath a clear, deep blue sky. In fact, even today, well over a decade later, my mental picture of that farm is just as clear and real to me as my thought images of Yosemite, Grand Canyon, or Key West—places to which I've physically been. If you're going to chose with whom you'd like to commune, who would you pick? Most people have a deceased loved one with whom they have left some business unfinished. Retired journalist Suzanne Ward might qualify as one of those. 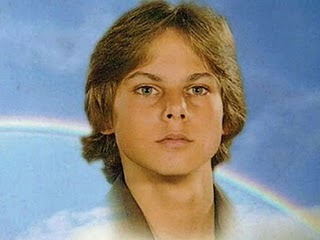 In 1980, she received the shocking news that her 17-year-old son, Matthew, had been killed in a car accident. Like many others in her situation, Suzanne (known as "Suzy" to her friends), was driven to visit mediums around the country, hoping for a word from her beloved child. Indeed, she received what she was looking for, as the unrelated psychics passed on information that only Suzy (and her son) could have known. But among the information she received, was the statement, ostensibly from Matthew himself, that Suzy herself would soon be able to receive messages directly from him! "Soon" can be a subjective term. It was actually some 14 years after Matthew's death that Suzy found herself transcribing messages from Matthew at her computer keyboard. Suzy, of course, doubted that the messages really came from Matthew; it seemed more likely that some part of her grieving, unconscious mind was trying to fulfill her most poignant wish. But as Suzy became more comfortable with this unusual form of communication, the quality and content of the information she received rapidly exceeded anything she could have expected. After all, Suzy might reasonably have hoped for news that Matthew, wherever he was, was happy and fulfilled; and the title of the first book of Matthew's messages, Matthew, Tell Me About Heaven suggests that she received exactly that. But soon Matthew began providing information on politics, including details regarding the Illuminati and other subcurrents that move modern global affairs—things Suzy, as a retired mainstream journalist, knew nothing about and in fact had no previous interest in. Matthew assured her there would be nothing to the Bird Flu scare; he's also predicted that there will be no full-out war in Iran, and the eventual arrest of Karl Rove. While the jury is still out on the last two points, it will be interesting to see whether Matthew's accuracy will continue its high level into the next year or so. You are worried that I’m taking sides, or better said, can’t take sides. Then who better to set you straight, my child? I am as much the gentleness and searching and on the lighted pathway as you wish to be, yet there is the part of me that equally is, and cannot deny, that soul whose interests and actions and motives are what you call evil. I am not separate from that soul, and whatever that soul does and all of its effects, however "ungodly," as you think, become within my composite and are an inseparable part of me. So, to say that I could "take sides" of myself is just plain unscientific, isn't it? As quoted by Suzy, God's choice of grammar and vocabulary comes across as quite relaxed, even casual. In the transcripts, God explains that this is to show how intimate a part of Suzy He is. 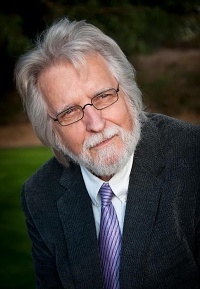 Author Neale Donald Walsch was at a nadir of his life when his contact with the Beyond began. A fire had destroyed all his possessions; his marriage had fallen apart; an accident had broken his neck. Reduced to living off the proceeds from recycled aluminum cans, in desperation he tried something new: Asking God why the heck this had all happened to him? Walsch certainly wasn't the first person ever to do this, but he may have been one of the few to actually listen to the answer. After writing down all of his questions, the author claimed in his interview with Larry King he heard a voice over his right shoulder say: "Do you really want an answer to all these questions or are you just venting?" Though when he turned around he saw no one there, Walsch felt answers to his questions filling his mind and decided to write them down. The ensuing "dialogue" became the Conversations with God books. Neale's God certainly has much in common with the God who dictates to Suzy, and as described by Seth. He's prolific, too, having put out no fewer than nine books through Neale (and parts of four through Suzy). 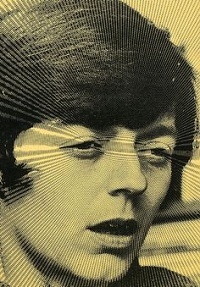 Both Jane Roberts and Suzy Ward initially suspected that they were "merely" allowing their subconscious voices to speak. Seth and Matthew, on the other hand, claim to be independent beings. And yet, when we ponder the idea that All Things Are One, and that that One is God, it becomes clear that this connection is a two-way street: Not only am I an aspect of God; God is an aspect of me. And if God is also an aspect of you, then so am I! Even though we are both living at the same time, through our Oneness there's no reason why we can't channel each other! —And isn't that what telepathy really is? Likewise, communing with God becomes an exercise that any one of us can do. In fact, should do! Isn't that the very intention of prayer and prayerful meditation? Just because, in pre-computer days, such communing was done while fasting and kneeling doesn't necessarily mean that's the best (or only) way to do it. After all, we acknowledge our methods of agriculture, healing and conventional communication are more effective now than in centuries past. So, why shouldn't the same be true of our method of prayer? All you have to do, really, is shake off centuries of indoctrination that insists you require an intermediary, such as a priest or rabbi or minister or mullah, in order to find out what God has to say. —And this, in spite of Jesus' insistence that God speaks to us individually. Try it yourself. Use a keyboard, or pen and paper—whatever means is most comfortable to you. Place yourself in a peaceful, supportive environment and mentally announce your intention to freely and unguardedly accept information from God. Then see what happens. Ask a question. Type whatever pops into your mind. Be accepting and open about what you receive. Hello, God. In reading Matthew's mother's conversation with you, I am moved to do the same. I think your first impulse will be amazement, then joy. It's automatic.